Wow, Facebook is getting better and more improvements every day. 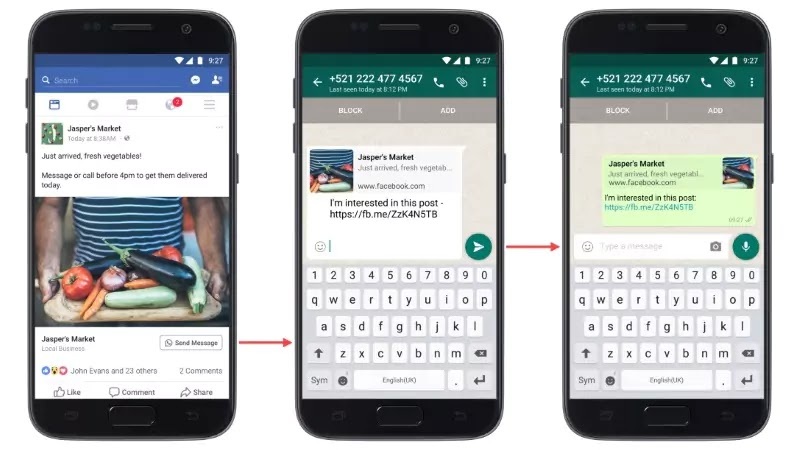 The Facebook developer has now added a new feature to Facebook called Click-to-Whatsapp. This new feature is very suitable for advertiser users and lets them connect to over one billions active WhatsApp users. This new feature will start rolling out very soon starting with south and North America, Africa, Australia, and Asia. 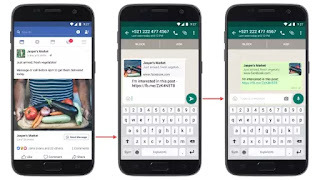 To make this new feature work, businesses that have WhatsApp numbers can add 'send message' buttons with the WhatsApp logo to their Facebook ads and those ads will only be delivered to users who have WhatsApp installed on their smartphones. People must add businesses' WhatsApp numbers to their contacts to initiate conversations. Once they do it, the messaging app opens with a default message expressing interest, which can be edited by users before being sent. It's a nice feature, good one.